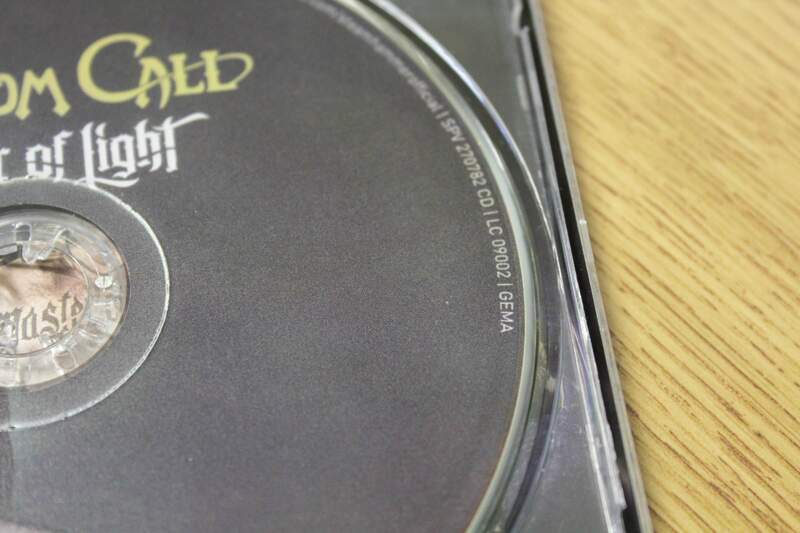 I'd have guessed digipaks were only introduced in the mid-90s - I really couldn't tell you the oldest digipak I own though, can't say the thought has crossed my mind before - haha. They first came about in the mid 80s. It took a while until metal labels could afford to get them made though,. Has anyone ever seen this version of "Panzer Division Marduk"? I've checked all over the net, including discogs.com and ebay, and have yet to see this particular pressing anywhere else. 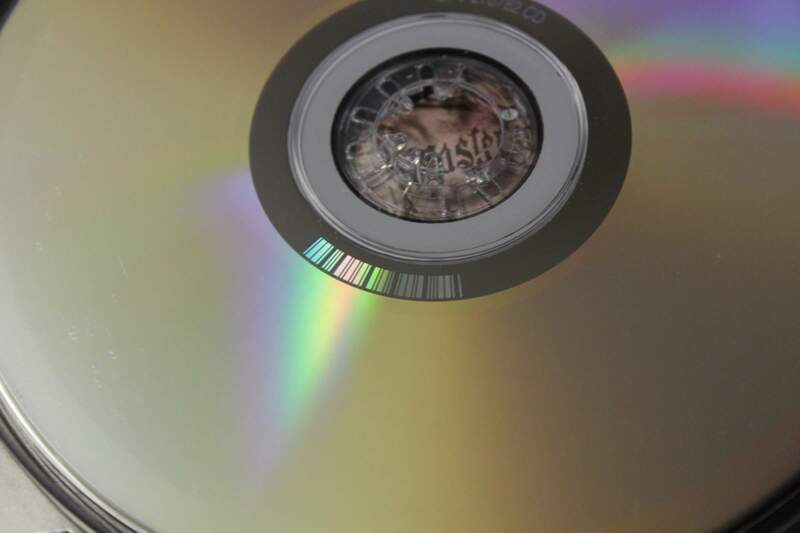 The disc print is different than any other version of this CD that I've come across. The matrix code is "19013 4" - and in *very* tiny printing above that "MFG by Crest National - CA IFPI LF72"
The artwork/booklet/layout is identical to the original Osmose (Fra) version. I've had it for quite a few years. I don't even remember when or where I purchased it exactly. I was just cataloging my collection on Discogs recently and noticed that one of the versions I have was different that the others I was seeing. Pretty sure it's an early 2000s US repress of some sort...? Yeah Crest is just a plant in the U.S., Osmose had pretty much all their CDs made there when they had a U.S. office. Definitely legit. They were doing that in the 90s, so it's probably the only pressing for the territory. I'm pretty sure they imported the artworks from France as a couple of the ones I have from Osmose U.S. have a secondary barcode sticker placed over the original barcode on the jewelcase. Is the reissue of "Millennium" by Monstrosity available directly from the band any different from the original version (mix, master, etc.) or is it just a straight repress? ^ I'm going to make an educated guess that Russian listing is probably a bootleg. I appreciate the feedback, shame on me for not having a legit hard copy of the album long before now, anyway. Is my Blood-Christbalt a bootleg? 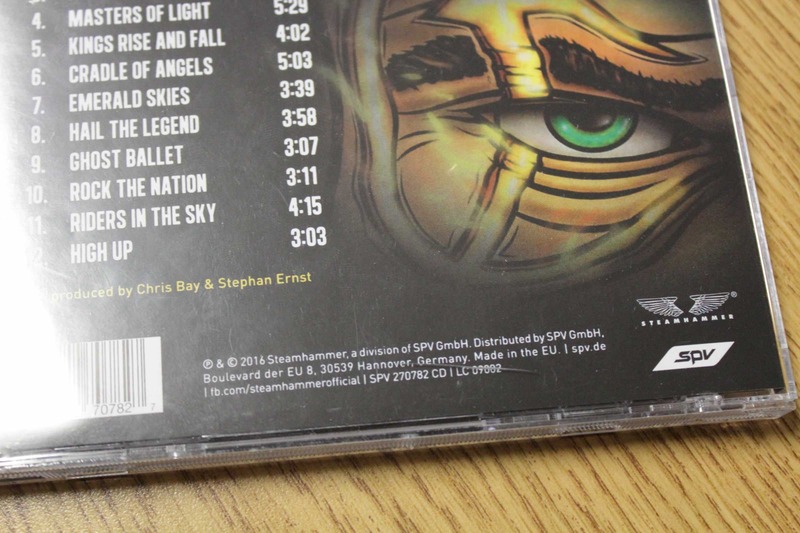 On the back,there is a tracklist,line-up and a photo of the band. 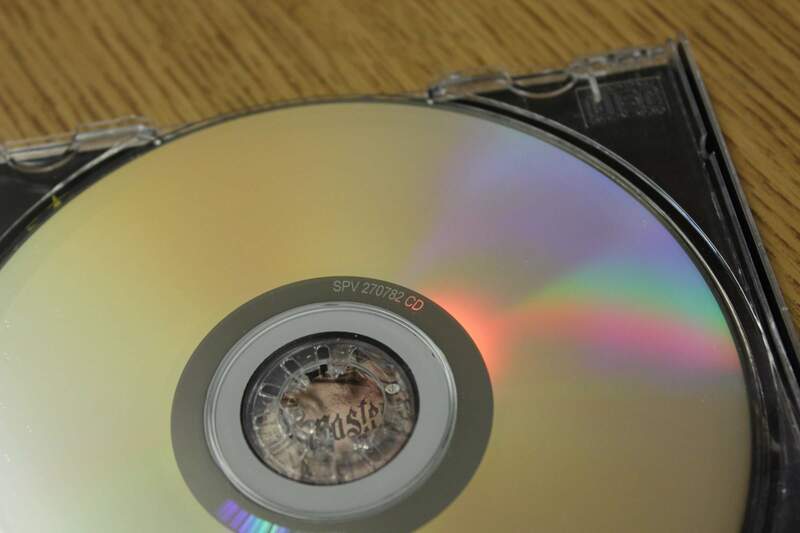 Cd shows some columns and logos are there. In the booklet it shows thankings,line-up(again) and some info. Obviously it's this version, but the entry doesn't have any matrix info to compare. I doubt you have a bootleg since those tend to be sourced from the first press version. Here I found also blue one, so it's kind of production error or done on purpose. And your matrix code looks very legit. So for around a year now I've been looking at copies of Running Wild's Blackhand Inn on ebay. Problem is almost all of the listings are from Russia, and I vaguely remember reading somewhere on this thread that Russia is notorious for printing bootlegs. Should I steer clear of these for now? Might be safe to. According to Discogs, there are several Russian bootlegs of the Noise International pressings. In general, it's a good idea to avoid buying copies directly from Russia or Greece on ebay or Discogs, as they're likely bootlegged copies. If you're interested, I bought a copy of Black Hand Inn by NEMS Enterprises on the cheap a few years ago, either from Amazon/ebay/Discogs, and it's an officially licensed copy fro Argentina according to Discogs. Bear it mind it's remastered and has two bonus tracks, though. Also, keep your eyes peeled for reissues from BMG. So far they've only released best-of compilations, but they'll be reissuing the back catalogue of Running Wild (and other Noise Record bands). Those ought to be coming out this year, if they haven't already. Those will be remastered too, but they'll at least be affordable in the US. Here's an article on that: http://hardrockhaven.net/online/2016/08/bmg-announces-major-reissue-campaign-from-legendary-metal-label-noise-records/. Hi guys, I've got a ´problem. 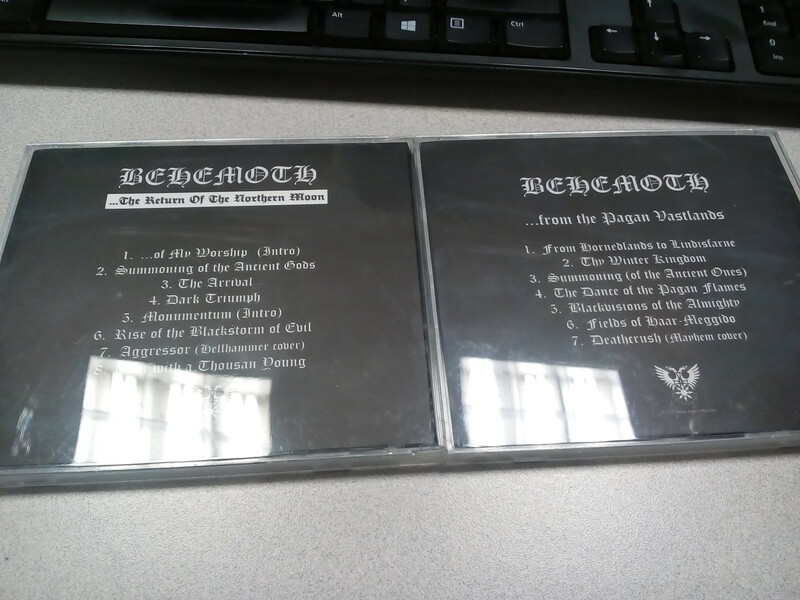 I got some copies on CD of STORM's NORDAVIND and I can't find any info about these version. They are supposed to be from Moonfog (FOG 004) but the matrix isn't the same showed here or on discogs and I don't find it anywhere on the net. 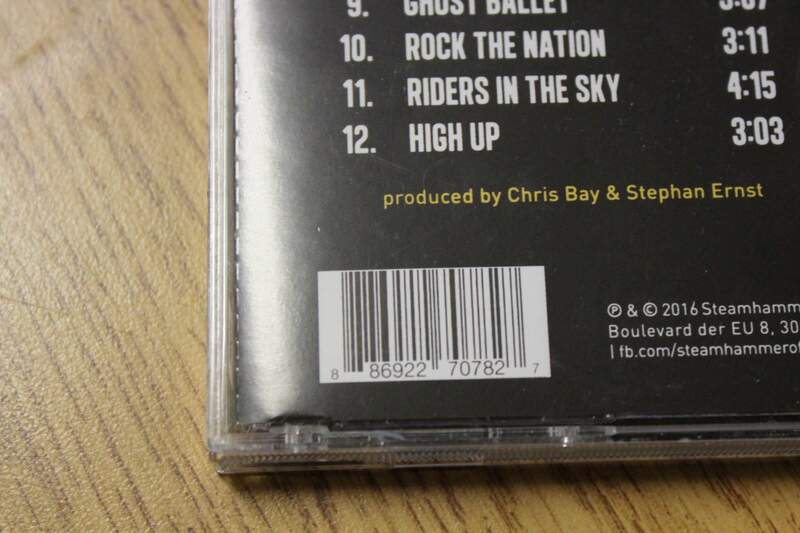 the barcode of the back cover is the same. 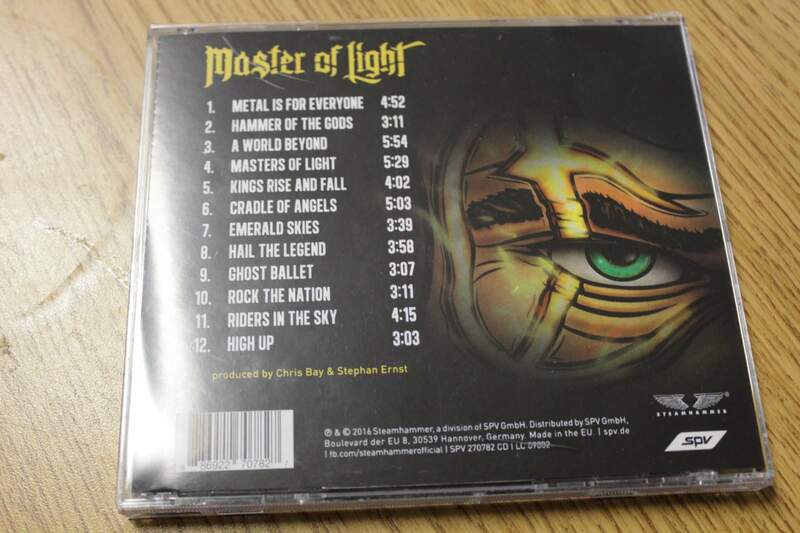 the texts of the booklet are a bit blurry but I've heard some original copies of bands like Satyricon are Ulver have the same issue. 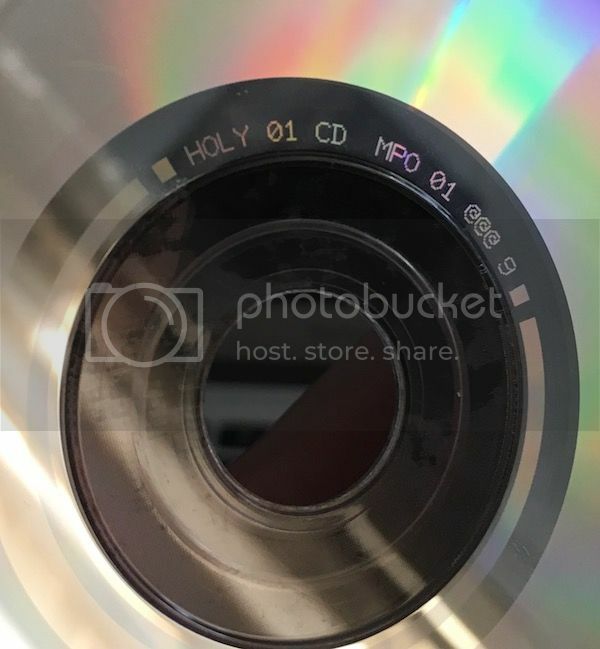 the Matrix of these CDs is: FOG - 004 - 100 - 2793. Anything else is the same compared to the version I see here and on discogs. Can someone help me with this? thank you. my guess is boot, and based on the design it looks pretty new. Bootleg confirmed, but there is no info about this one on the internet, who knows where this comes from. Seller offered me a first press of the Tourniquet - "Stop the bleeding" in mint condition for less than 20 USD including delivery. But polygraphy is looking strange with this paper "tentacles". And there is no logo PRINTED IN CANADA on the inner side of the tray. What is this can be ? Self made on home printer ? I have another Intense Rec CDs but never saw that kind of stuff. Help me please if anyone knows what it is. Matrix code looks like original. So this one is a tape I picked up at a record store a few years ago and it isn't a CD but I have been trying to pinpoint where it came from for years now haha. I can't find anything online about it and it claims to be a licensed copy but I have my doubts. It is Bulldozer's The Day of Wrath album. just a guess, but it looks like a fan- or maybe even band-made edition to me. regarding bootleg or not, I have no idea about the rights situation/the band's stance on this. have you tried contacting the band about it? edit: discogs just told me about an unoffical incantation tape "licensed from the devil archives", so my guess is it's a fan-edition aka bootleg. I would have to go with bootleg on this one, I have just been curious as to what this mystical "Devil Archives" is but I'm guessing that it is made up and totally not licensed by anything. Googling The Devil Archives did no good at all and pretty much links to religious stuff no matter how I search for it haha. I saw that Incantation tape and it didn't really seem to have any more info so I'm at a loss. I would say it is a good quality bootleg but at the same time the record store I bought it from should know better than to sell a bootleg copy. 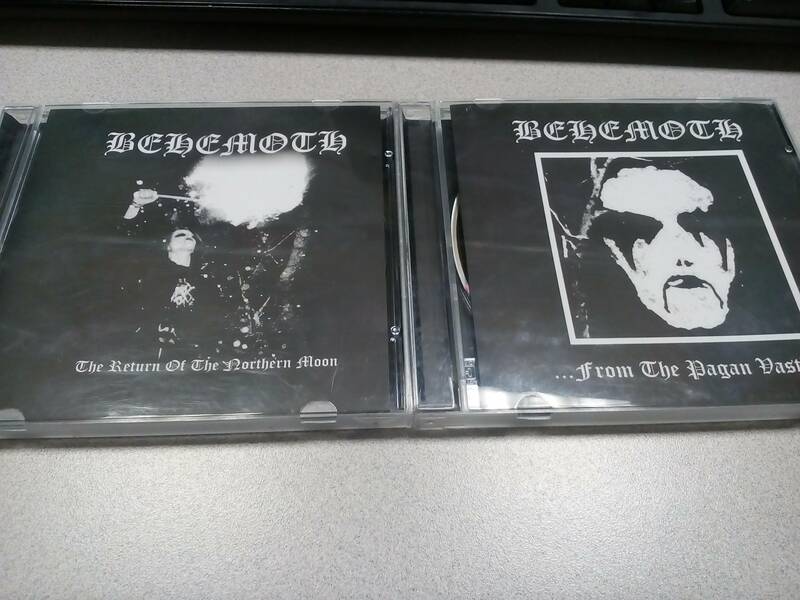 are these bootlegs, cant really find any good source of info and they were not listed on M.A. I have a copy of Carpathian Forest's "We're Going to Hell for This" from Peaceville Records but the contents are, strangely, actually "Black Shining Leather" instead. Has anyone heard about such an issue with that pressing? Is this some sort of bootleg shenanigans? This is by far the weirdest thing that I have in my collection and I really don't know what to make of it. I'm looking for extra information about a Bootleg Split CD (Sarcofago + Sepultura) named "Only Love Wins Hate". I heard that it contains rare shows from 1985 and 1986. Anyone have more info about tracklist or venues ? Not sure how I'm to go about posting requests so here goes nothing. It has the four bonus tracks from this release but the insert cover isn't red. It's also louder than all my other FC CDs. 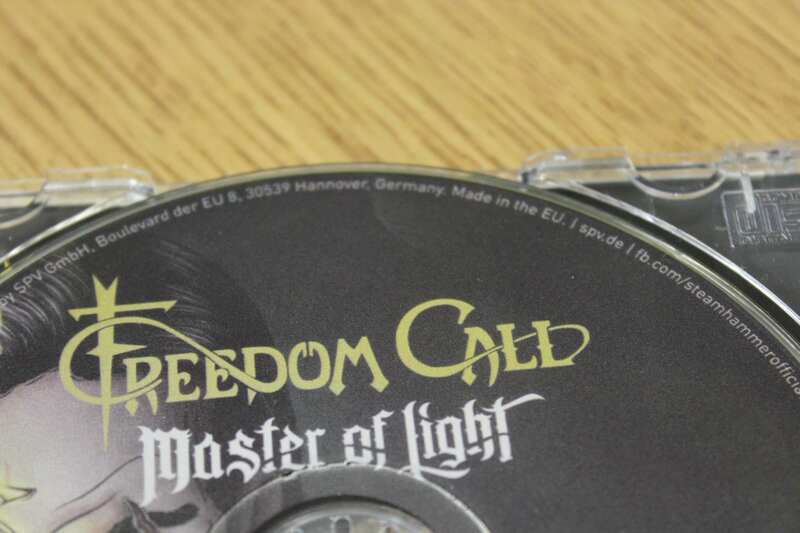 Shardnax, this Freedom Call CD is bootleg. 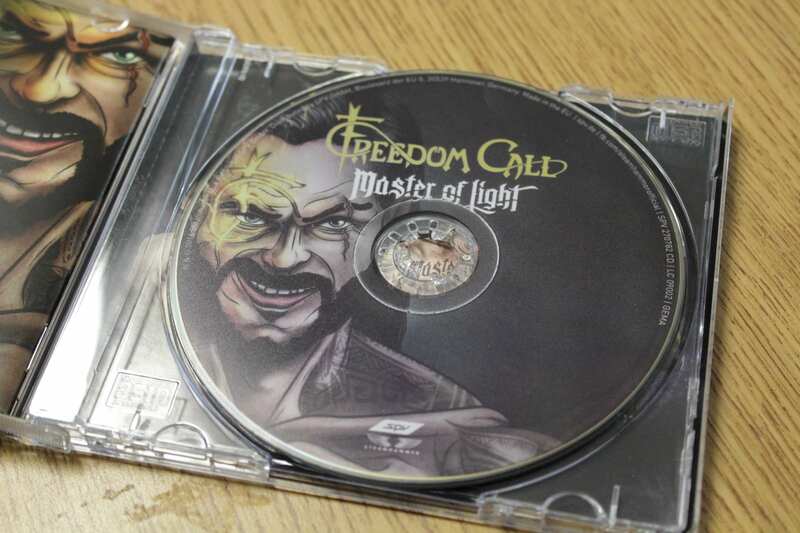 I'm not a Freedom Call expert but wasn't this released on Steamhammer as a digipack but bootlegged by Russia as a jewel case? Thanks for the quick response, time to file a claim . 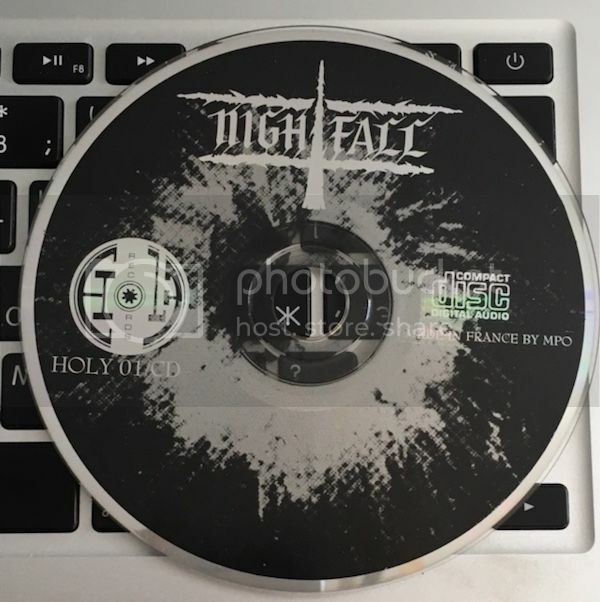 Are vinyl bootlegs an issue (in general, not just for FC)? Being a newbie in this area, isn't bootleging an album, like that FC illegal? In a way that the label logo and all of that stuff is used without their permission. And why most of the bootlegs, especially in Discogs, from Russia? Last I knew, yes. Dealing with it would take time and money the smaller labels probably don't have or want to spend. It's impossible to completely eliminate it. I can't speak as to why one country or region might be more prone to it than others. Anyone know the differences between the Russian Toxik releases and the original Roadrunners? I've gotten in the habit of requesting photos when buying anything over $50 on Discogs. It's disturbing to see so many people selling bootlegs as originals. It's more disturbing when it's pointed out to them that it's a bootleg and proven with photos and those people still keep their bootleg listed as original and at a high asking price.